Designed to fit a standard Heras Fence Panel (3.5m x 2m) (cover size: 3370mm x 1755mm), our Premium Heras Fencing Covers are custom-made from an exceptionally lightweight and high-quality Fabric AirMesh fence cover fabric to reduce wind loading. 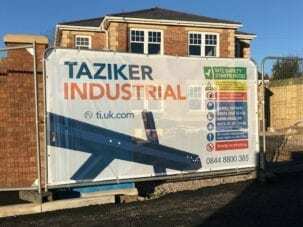 Amazing product, these banners look incredible on our new-build sites. Very easy to fit and they have stood up to the coastal weather no problem. 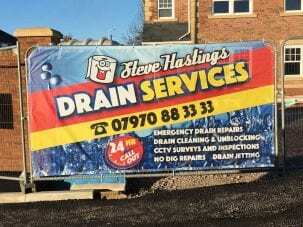 These banners were a pleasure to order and are superb, the guys even amended our bad artwork at no charge. 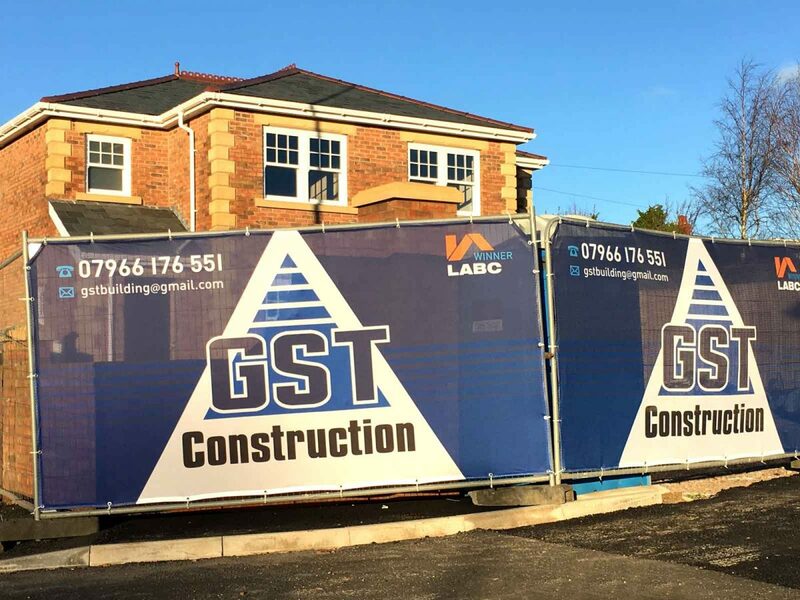 Premium Heras Fence Covers allow users to cover an unsightly or private areas whilst advertising brands and events with maximum impact on prime advertising space. 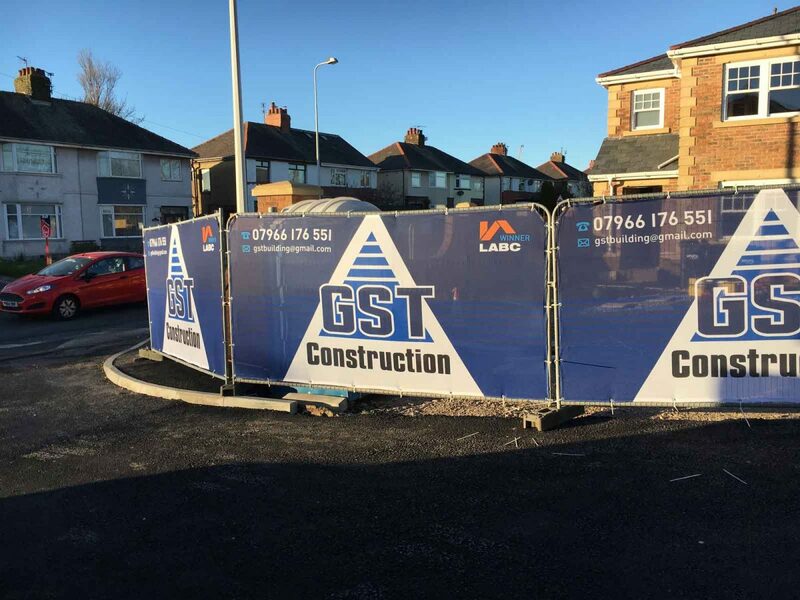 Unlike separate advertising banners and signage, high quality Heras Fence Covers rarely need planning permission in city centre locations. 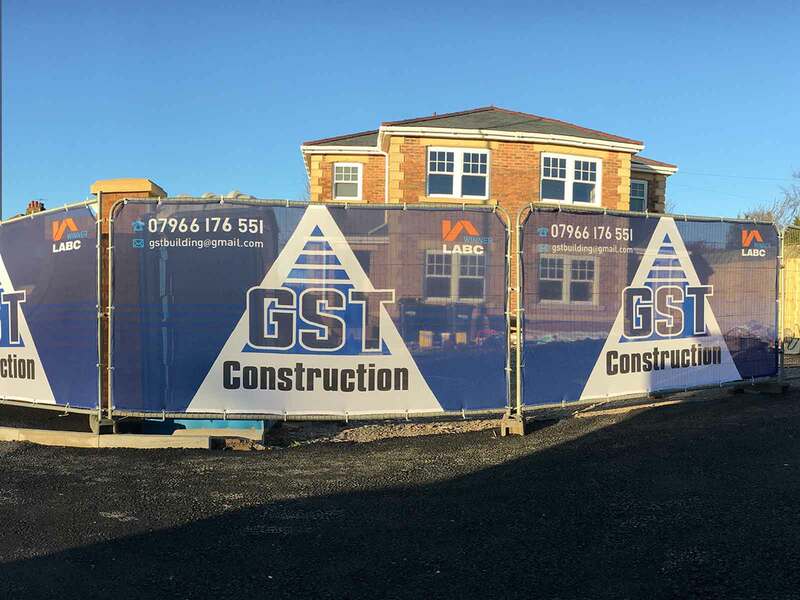 Whilst hoarding panels are generally a one-off use product, Heras Fencing Covers on temporary fencing can be used again and again on multiple sites. 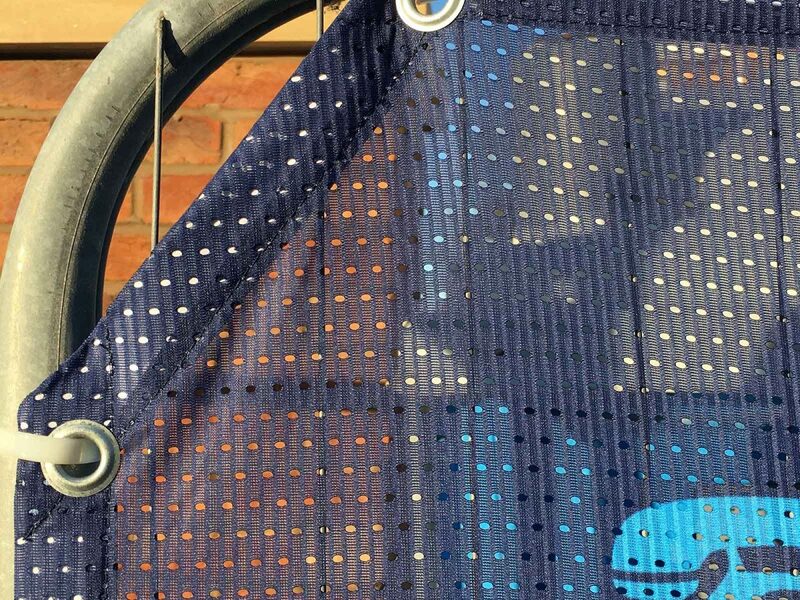 Custom sizes are available, see our AirMesh Flag product page. Premium Heras Fence Covers are full colour printed to order from your artwork. As our printing is full-colour process you can include photographs, logos and any other graphic elements in your design. 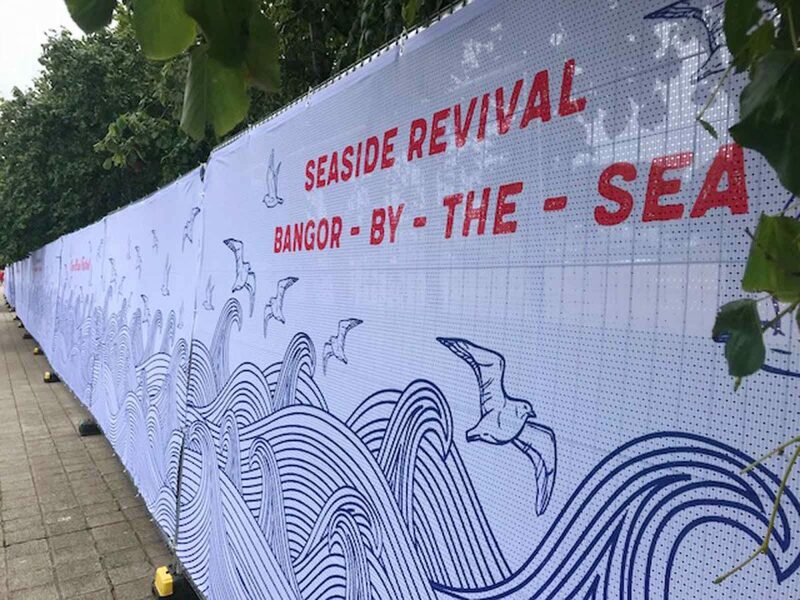 Fully re-usable, these fence covers can be easily removed and used again and again to promote your event or brand. Easy to pack and transport, each cover weighs in at less than 1kg and can be folded to 45cm x 45cm x 5cm for storage. Banner World Premium Heras Fence Covers are used by major event organisers and construction site managers around the UK and Europe. We manufacture these Covers to order and to any bespoke size or finishing requirements. 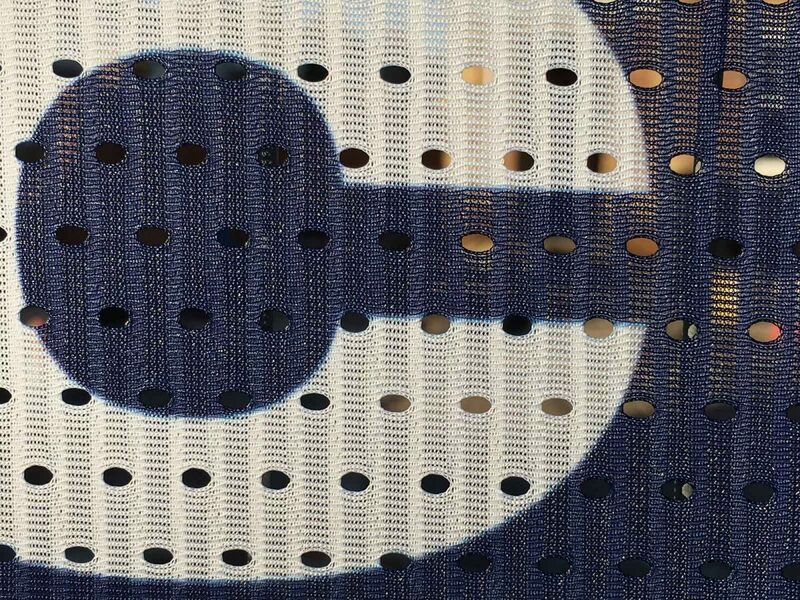 Our standard building and fencing printed pvc mesh banner, the least-cost option. This is a lighter pvc material with more holes, resulting in more air being able to pass through the material. Typically used for more exposed locations where wind loading will be an issue. You can design your cover at actual size or to scale, depending on the software you use. 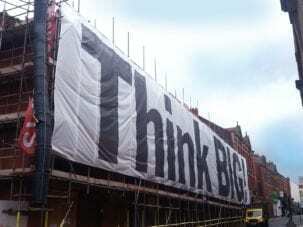 Ensure that your final print file will scale up in proportion to the size of banner you have ordered. Use our downloadable PDF template. Ensure that no critical information is within 100mm of the edge of your heras cover design, this allows room for eyelets, hems and other finishing options. Background images and graphics are fine, just be wary of text, numbers and logos. Our PDF artwork template shows safe areas. 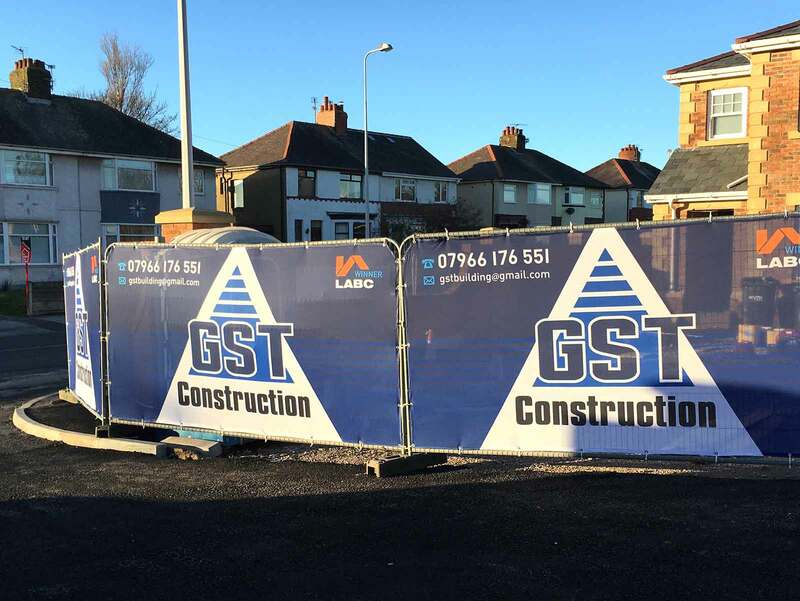 Fence covers are first and foremost an advertising medium. Information displayed should be clear to read – consider how far away your target audience will be. If your cover is intended to be viewed from a distance then the contrast should be high and typefaces need to be legible. If you try to cram too much information onto a cover then the text may end up too small to read! Are these single or double sided? Premium Heras Fence covers are single sided, but the special fabric ensures show-through of the print to the reverse. These are finished to size with eyelets all round. 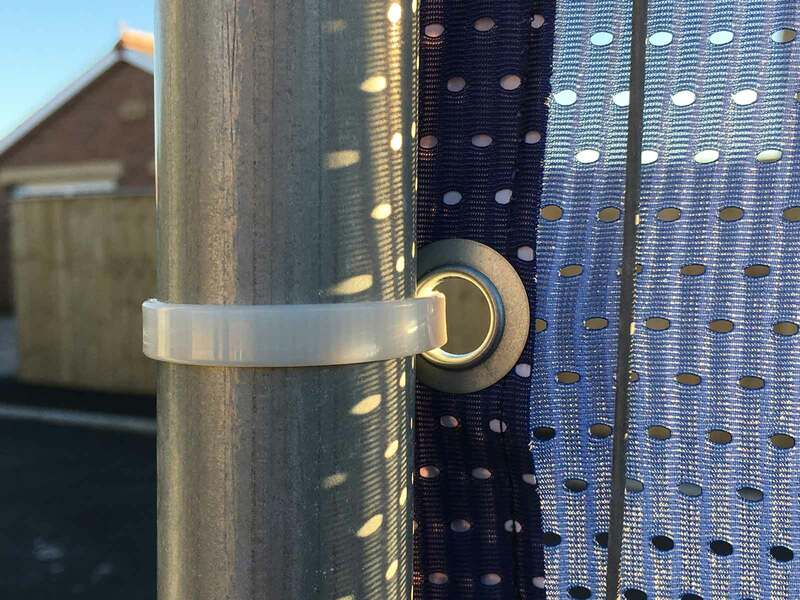 Simply attach them to the Heras Fence using cable ties.